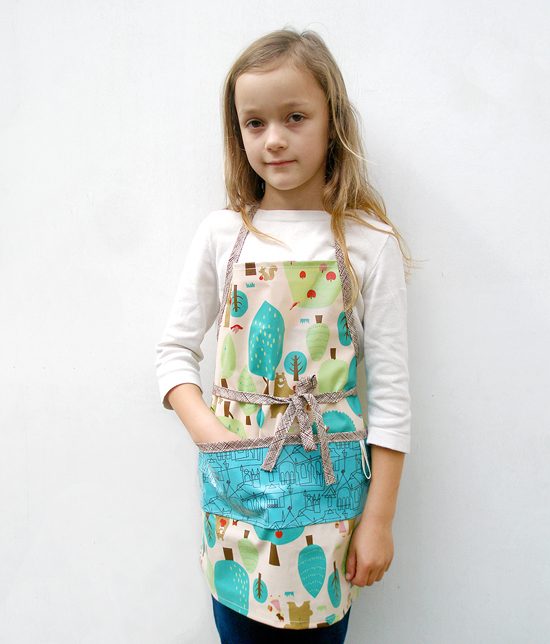 A Laminated Apron that is perfect for the little chef or crafter in your life. To clean, just wipe with a wet cloth. An adjustable neck and waist strap makes this a perfect gift for toddlers and school-age children. 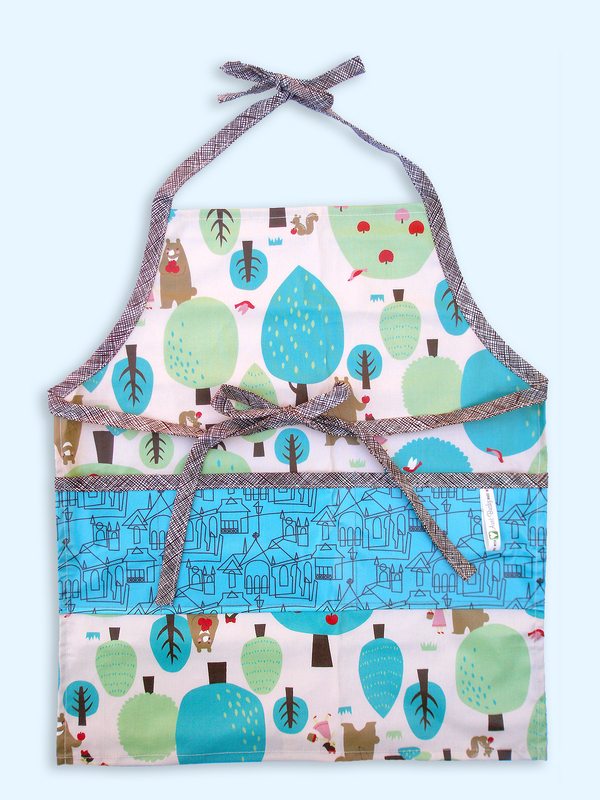 Whether helping Mom cook in the kitchen or creating a masterpiece with finger-paints, this multipurpose apron will keep your toddler/child clean throughout countless activities. It also makes an excellent party favor for parents to pass out to pint-sized guests during a crafting birthday party. Fits Toddler to school-age Child. 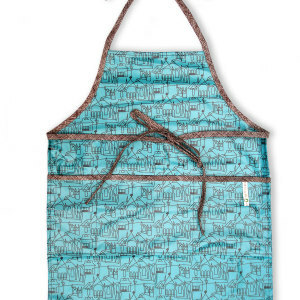 SKU: AuntBucky-CF_Apron. Categories: Aprons, Sale. Tags: apron, art smock, Aunt Bucky, child apron, cooking apron, crafting smock, garden apron, laminated apron, panda bears, sewing apron, smock, toddler apron, waterproof apron. 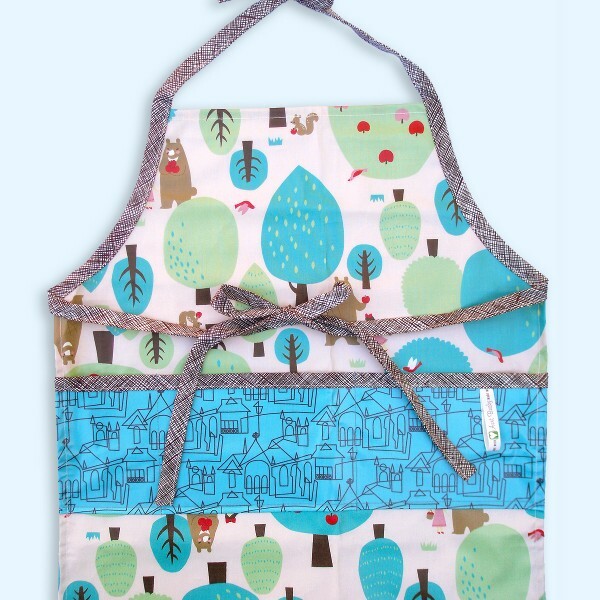 Child Apron Chocolate Forest is perfect for Arts + Crafts! 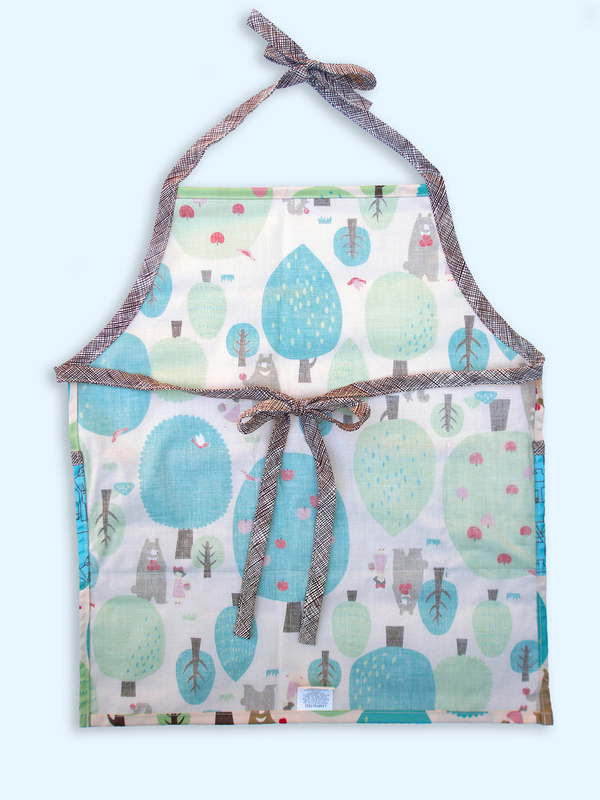 Child Apron Chocolate Forest that is perfect for the little chef or crafter in your life. To clean, just wipe with a wet cloth. An adjustable neck and waist strap makes this a perfect gift for toddlers and school-age children. It also makes an excellent party favor for parents to pass out to pint-sized guests during a crafting birthday party. 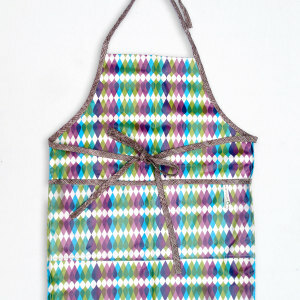 Our Child Apron is a must have! – Fits toddler size up to school-age child. – Dimensions: 17” wide and 20” long. – Full width pocket with deep space for tucking goodies securely. 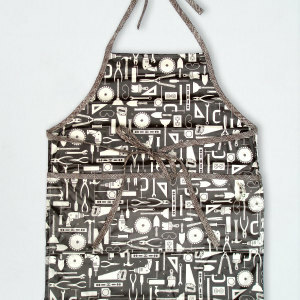 Visit our Adult Size Aprons that are laminated and super cute.